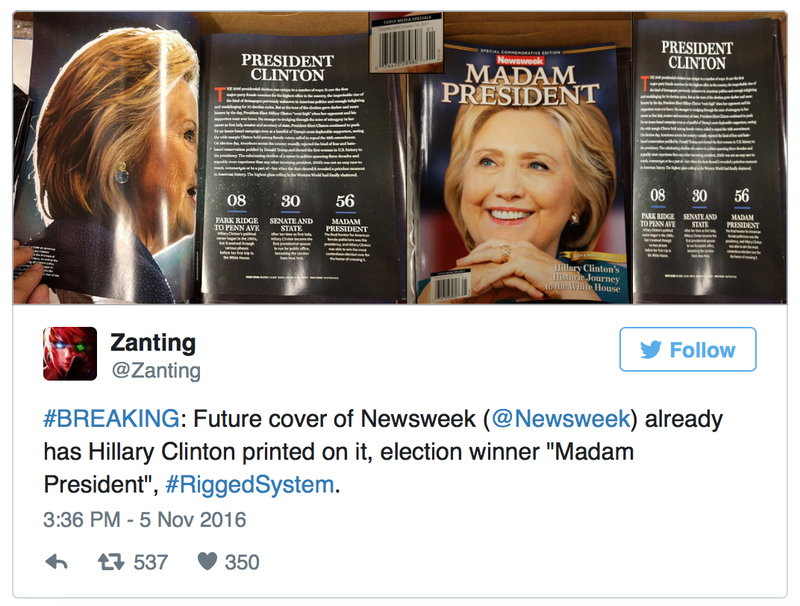 Newsweek’s licensee Topix Media printed and shipped out 125,000 copies with a Hillary Clinton cover to shops and newsstands across the nation, and is now rushing to print a Donald Trump issue that will go to press on Thursday. It is expected to hit stores next week. “Like everybody else, we got it wrong,” Tony Romando, CEO of Topix Media, the Newsweek partner which produces special issues, told the New York Post. Romando claims that they had “worked up a President Trump issue,” in case Trump won, but rushed to print the Clinton issue as they believed she would win. 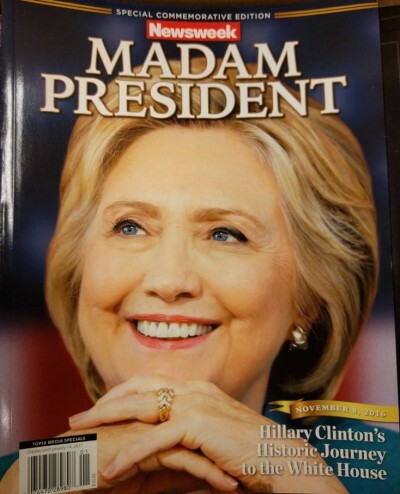 A Barnes and Noble in Union Square in New York began selling the issue on Tuesday, and none were left on the shelves by Wednesday. A clerk told the Post that they were unsure if the issues had been pulled off or if they had simply sold out. 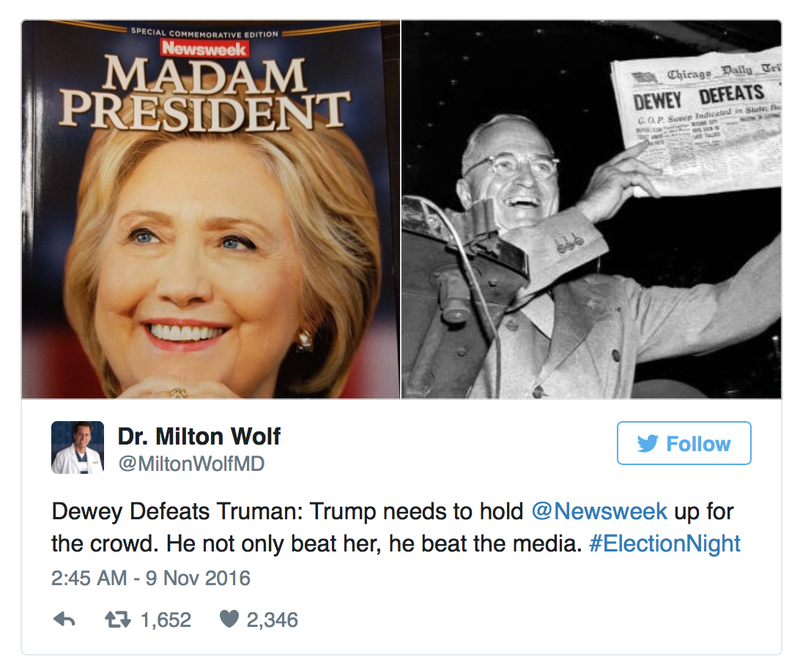 Newsweek, like other major news media outlets in the United States, lobbied hard for Clinton throughout the election season, even printing bizarre conspiracy theories, including one about Sputnik News being tied to the Republican candidate, a notion dreamed up by the magazine’s senior writer Kurt Eichenwald. Despite being called out on their tenuous claims and debunked by multiple publications — including the Washington Post and the Intercept — Newsweek continuously doubled down by using false information in what appeared to be an effort to boost their chosen candidate. Newsweek was so sure their efforts would pay off, they seem to have forgotten that it is the people who choose the president.